In the current trend, the real estate website without the IDX cannot be imagined. IDX website has gained immense popularity among other real estate website. And the number of IDX integrated websites is also increasing day by day. Now you can think what is IDX? and what are the benefits of IDX, as its having a flourishing demand in the market. So let us get basic important information on IDX/MLS. IDX stands for Internet Data Exchange and it directly pulls listing data from the Multiple Listing Service (MLS) and displays this information on user website. IDX allows the public to conduct searches of authorized Multiple Listing Service properties in an assertive area. The evolution of the MLS, IDX is the elementary means of boosting cooperation between realtors to facilitate the sale and purchase of real estate property. 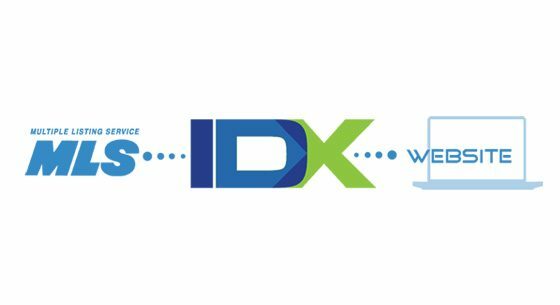 IDX Service Providers – An IDX Service Provider will pull data feeds from user MLS providers and as a middleman, will migrate it to user website. MLS RETS Integration – The MLS RETS Integration connects website directly to the MLS server and extract the data directly to user website. Displaying the relevant content associated with the real estate audience are looking for will effectively capture the attention of quality leads.IDX integration with real estate website, provides user-friendly search features such as attractive property galleries and interactive map search. This makes easy for website customer to find their dream home on the real estate agent website which in turn increases the sales. The compelling lead capture features of the IDX integrated website help to get a clear cut idea about the visitor’s interest. It offers an insight look about the visitor interest in the property. And the customer can even receive email alerts on brand new listings, if it meets user search criteria. IDX responsive website provides all functionality to resize, hide, shrink, enlarge, or move content to any device or screen size. It allows the proper display of real estate listings irrespective of visitor devices like laptop, PC, smartphone, or tablet. Showcase responsive design listings captures lead’s attention, irrespective of visitor device or browse. IDX integration in real estate website are search engine friendly. Indexable IDX listings on a website provides leads and also benefit for search engine indexing. Social share buttons lets the visitors to share listings in social media, creates valuable backlinks and which in turn drives more organic traffic to the website. OmkarSoft is a web development company based in India, we provide all kinds of services that include development of idx real estate websites. During the several years of our existence, we have gained epic experience in providing clear cut custom solutions that can fit the needs of the customer.